Grade 2 Units and Resource Pack Now Available for Preorder! 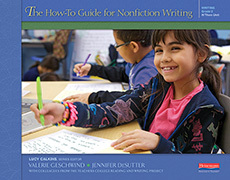 To create these new phonics units, Lucy and her coauthors have drawn on all that they know from decades of teaching reading and writing in thousands of classrooms across the world, and they've relied on proven, research-based practices—especially on the work of Isabel Beck, Donna Scanlon, Pat and Jim Cunningham, Rollanda O’Connor, Marilyn Adams, Tim Rasinski, Donald Bear, Wiley Blevins, and the late Marie Clay. align with state-of-the-art reading and writing workshops for a coherent approach in which terminology, tools, rituals, and methods are shared in ways that benefit both teachers and kids. In the hurly-burly of classroom life, every minute you spend on one subject is less time spent on another subject. 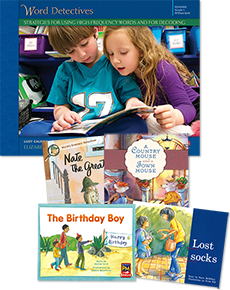 Lucy and her coauthors aim to protect time for authentic reading and writing, while also helping you teach a rigorous, research-based phonics curriculum. 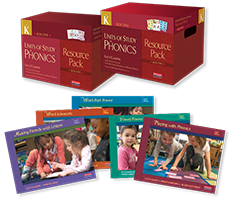 Phonics instruction supports children’s reading and writing: to be useful, phonics must be transferred. Every message you send during phonics instruction needs to be angled to support transfer to reading and writing. Your goal is not for your kids to become linguistic scholars. Instead, phonics instruction only matters because it enables reading and writing. 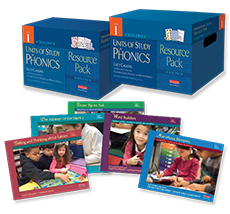 The Units of Study in Phonics series has grown out of the TCRWP’s decades of research and practice in the teaching of reading and writing. Given that phonics is important only insofar as it transfers to reading and writing, it is essential that a phonics curriculum draw on broad, deep, applied knowledge of how students develop as writers, readers, speakers and listeners. 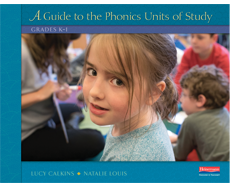 In addition, the sequence of the Units of Study in Phonics follows a pathway that is widely supported by an enormous body of research including the work of Bear, Beck, Blevins, Cunningham, Fountas, Pinnell, Rasinski, and others. 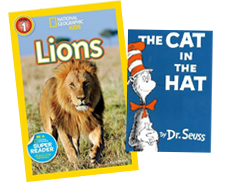 Phonics instruction benefits children when it supplements and does not replace reading and writing instruction. Phonics instruction needs to be lean and efficient. Every minute you spend teaching phonics (or preparing phonics materials to use in your lessons) is less time spent teaching other things. 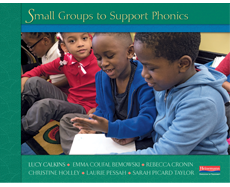 The Units of Study in Phonics recommends twenty minutes for explicit phonics instruction, with time outside of phonics for small-group instruction in phonics. 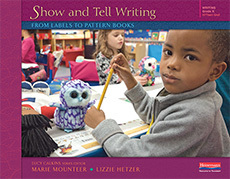 Children benefit from being taught not only item knowledge (such as blends and digraphs), but also the strategies and purposes that allow them to draw on that item knowledge as they read and write. 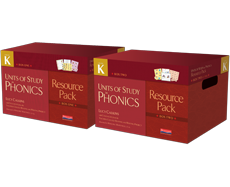 In Units of Study in Phonics, children are taught the most high-utility phonics, and they are taught to use what they know to be problem solvers, word scientists, super-power readers, and writers. Children benefit most from phonics work that is engaging: phonics need not be taught through worksheets but can instead involve singing, pretending, inventing, talking, writing, and spelling. Instead of channeling students to circle the number of syllables in pictures on ditto sheets, we’re more apt to suggest that they plop their backpacks in front of them, and work with a partner to touch each part of each child’s backpack, clapping the syllables to zipper, pocket, strap, and applesauce. All our teaching, and especially our teaching of something as foundational as phonics, must be flexible enough and have scope enough to support all the member of a learning community. Your bottom-line assumption needs to be that it is important to provide students with a variety of ways to express what they know. The most important way in which the Units of Study in Phonics supports all learners is by building in flexibility and choice. To read more about the principles undergirding the Units of Study in Phonics, download the sample chapter from A Guide to the Phonics Units of Study. 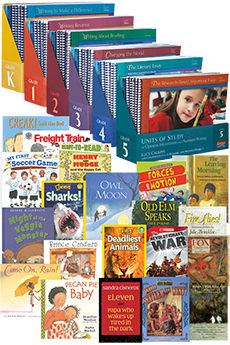 Grades K–2 include five units, which are each designed to be taught roughly at the same time as the corresponding reading and/or writing unit of study, keeping pace with those units. 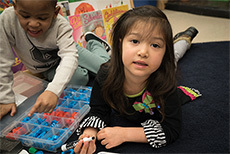 Describes the essential principles, methods, and structures that undergird this phonics curriculum along with an overview of the developmental progression that the series supports. Offers support in coaching into the work that students do during each session and in leading small groups to support students in transferring their phonics learning to their ongoing reading and writing. 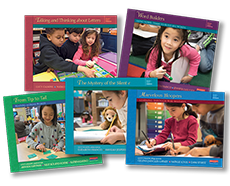 Each series set comes with a trade book to be used as a demonstration text for teachers to model the skills and strategies students will try. Each resource pack contains a variety of full-color, illustrated, posters; charts; picture, photo, word, and letter cards; copies of poems and songs; assessment materials; and much more. 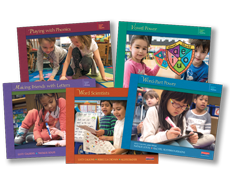 Each unit includes downloadable, printable pdfs of the materials included in the resource packs, links to videos, assessment tools, small group resources, and more. For more information, download the comprehensive overview! In addition, schools will need to plan for some other resources including a stuffed elephant or lion (Mabel and Rasheed—our K and grade 1 mascots) for each classroom, plus some other classroom materials, such as white boards and magnetic letters, that many classrooms already have. 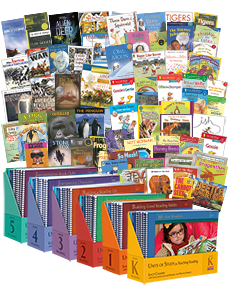 For a complete list of resources, see inventory/shopping lists: Grade K and Grade 1.